After you activate this support, you may give a leader character 1 shield. 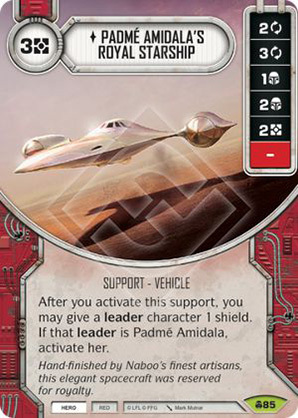 If that leader is Padmé Amidala, activate her. Hand-finished by Naboo's finest artisans, this elegant spacecraft was reserved for royalty.